Multiple Positions & Pillow-Like Comfort - A Living Room Recliner For The Water! Finally! 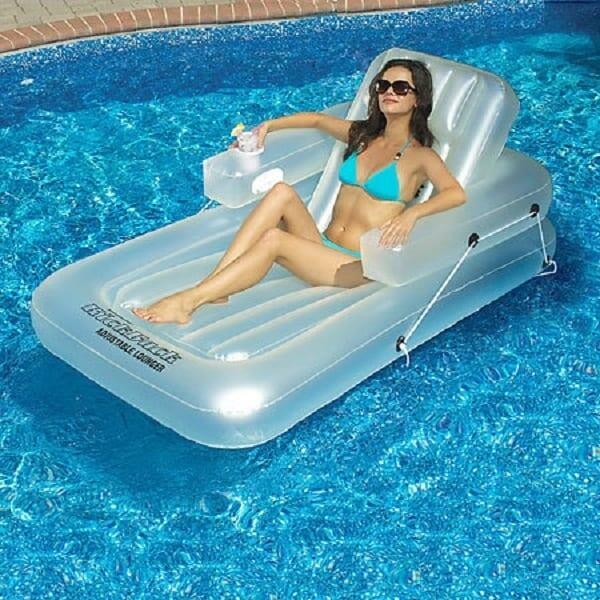 A swimming pool inflatable that offers all of the positions and comfort of a living room recliner! The KickBack Single Adjustable Lounger from Swimline and Family Leisure easily reclines and locks in the position of your choice. This, along with the pillow-like comfort, creates a seating experience rarely found outside of living room furniture. And this innovative adjustable lounge includes a cup holder for your lemonade and ice tea! Let the minutes, hours and days drift by in total relaxation and comfort with the KickBack Single Adjustable Lounger from Swimline and Family Leisure!